Every woman has an ideal version of how they would like their wedding day to be. There is the women that prefer pretty and plain – without the frills and stilettos, and then there is the princess brides – that will go serious lengths for their perfect day. Although your dress might be the centerpiece of your day, how you wear it also says a lot about who you are and how you present yourself. It’s your big day! Your make-up theme, hair style, jewellery and of course your wedding shoes have to be on point in order to flatter your dress! 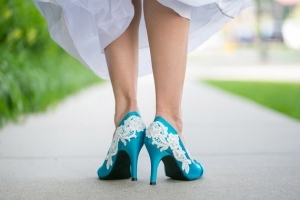 But how can you know what kind of wedding shoes will suit you? I have the perfect solution for narrowing your choices down. I’m a shoe lover, through and through! I can spend hours just browsing online or walking around shoe shops – and I can choose so many pairs without a care! Although, I think it would be a different story if the shoes I were shopping for were not just for a pleasurable purpose, but for one big day. I often worry about how I would narrow it down! But the traditional wedding rule above really gives me some great ideas that I’d love to share! Applying this simple, traditional influence to even your wedding shoes choice is sure to give you some sort of inspiration! This doesn’t have to mean an actual old pair of horrible, granny shoes that you really hate but are wearing just because the wedding rule says so! This can be twisted and turned into your own idea of ‘something old’. For example; old fashioned kitten heels. In the nineteen fifties, they had these amazing, fashionable kitten heels called Baby Dolls. I always consider something like this when I think about my idea of ‘something old’. Now you can, too! And What About Something New? Your something new does not have to be just some new shoes like every other shoe you own. You can try a new kind of shoe! Up your heel inch, down your heel inch, try a blockier platform; try a thinner, more elegant heel? Your something new can be a new journey of shoe wear! Your something new can be wearing a pair of 1950 Baby Dolls as a new shoe! A new shoe to your collection, that is. 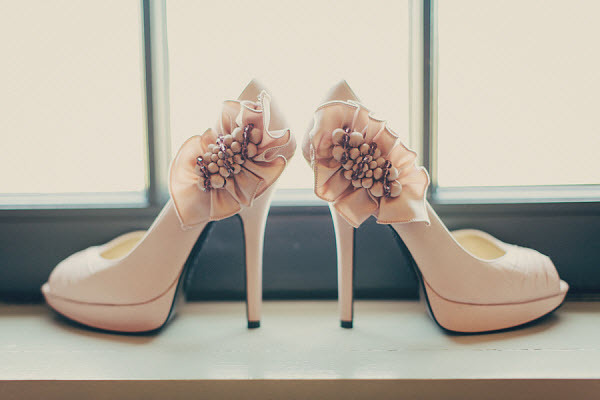 Wedding shoes are extremely difficult to choose from. Take your time and remind yourself that every step of your wedding journey is a new experience! Use the rules lightly; it’s your big day! Traditions are so inspiring. 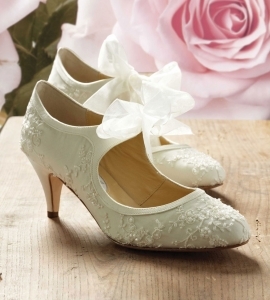 I love the idea that if my mother or grandmothers wedding shoes fit me, that I’d have the honour of wearing them on my big day. Second hand doesn’t always mean second best, besides; it could save you some money in the long run. Continuing tradition is a wonderful and flattering concept. This one, for some reason, is my absolute favourite! It’s so simple but I just really think it is so effective: a blue shoe sole or a gorgeous baby blue polka-dot shoe-sole gently fitted on the inside of your chosen pair of wedding shoes! It could be a DIY job too! It doesn’t have to cost a lot and I just think this idea is somewhat special. Nothing flashy, nothing obvious, just another personal touch for you to enjoy on your big day. 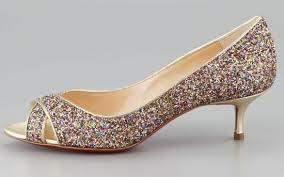 I hope I’ve helped inspire you on your Wedding Shoes endeavours!